Mark Ronson just announced his fifth solo album Late Night Feelings earlier this week. The album will feature collaborations with Miley Cyrus, Lykee Li, Angel Olsen, Alica Keys, Camila Cabello, King Princess, and more—some of which have already been released. 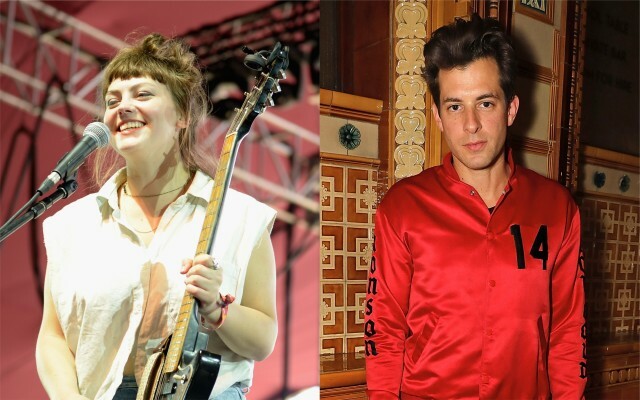 Now, Angel Olsen has shared a short clip of her upcoming collaboration with Ronson. The Burn Your Fire for No Witness songwriter took to Twitter to tease the collaboration with a 28 second preview of the song, which echoes the synthy disco-inflected aspects of her My Woman single “Intern,” with a touch of hi-fi production presumably from Ronson. Olsen’s latest album My Woman was released in 2016. In 2018, she announced a headlining tour with Julianna Barwick and Hand Habits. Ronson’s last album Uptown Special dropped in 2015 featuring the Grammy Award-winning hit “Uptown Funk” featuring Bruno Mars. Hear a brief teaser of Olsen’s collaboration with Mark Ronson below.